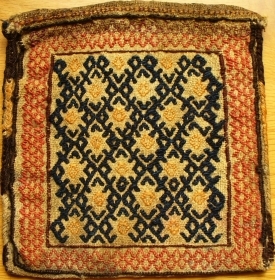 sw Iran Chanteh with lattice design. 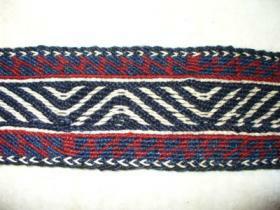 Luri Chanteh with lattice design and tufts. 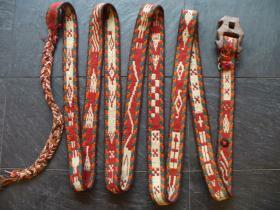 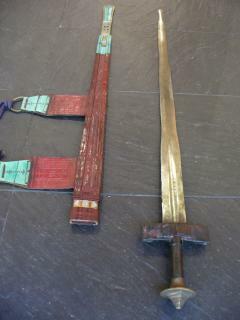 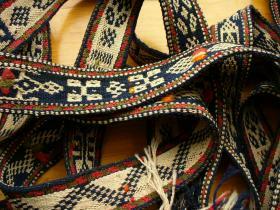 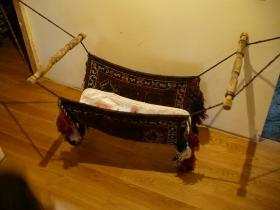 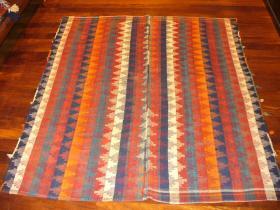 Turkoman pack or tent band 1070x6cms, long complete band in natural colours and in really good condition. 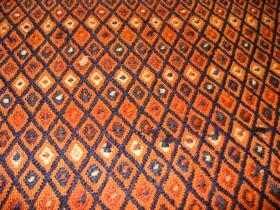 Fine to medium weave. 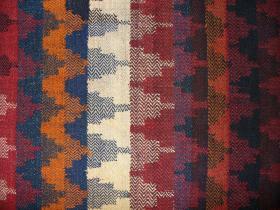 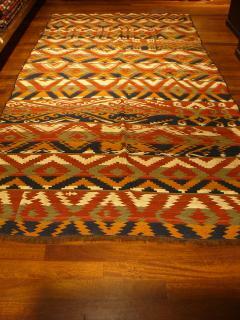 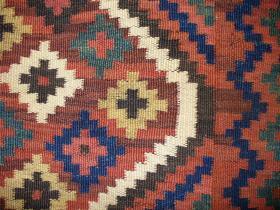 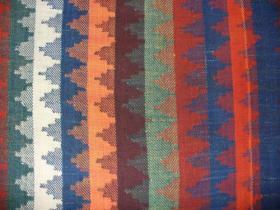 Luri kilim with fabulous earthy colours and abrash landscapes. 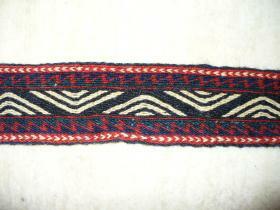 Tough goat-hair warp. 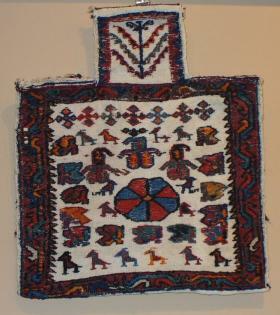 Bakhtiari horse band, measuring 720x7cms in mint condition. 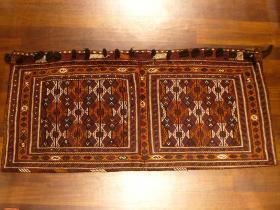 Qashqai jajim. 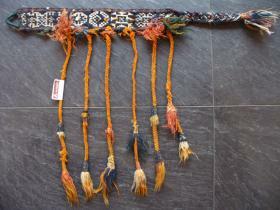 All natural colours. 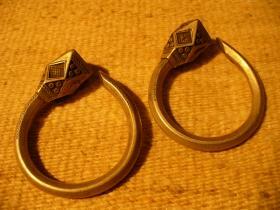 Early 20th c.
Earrings, (Tizabaten), Iullemmeden Tuaregs, Eastern Niger, solid silver, 6 cms diameter. 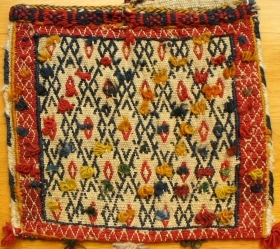 Qashqai (Amaleh?) 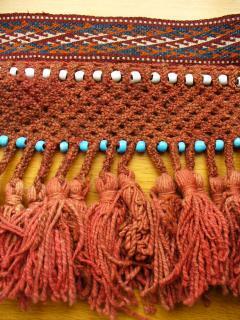 horse blanket, 145x145, wool with natural colours on white wool plainweave. 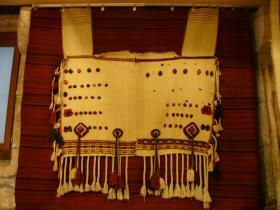 Qashqai horse band, 580x5cm, 19'x2"
Bhadara ? 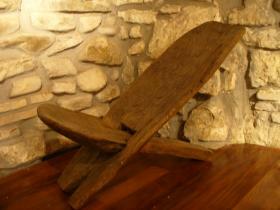 Chair, Mali, made in two pieces that sit within each other when dismounted for easy transportation on a camel. 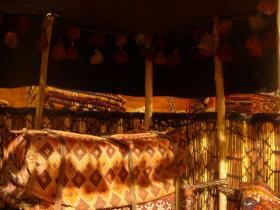 Qasqai migration tent. 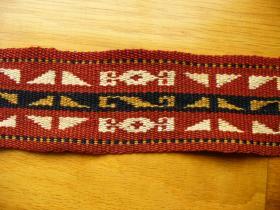 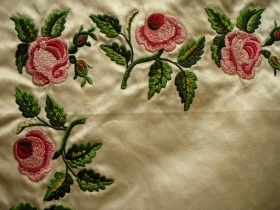 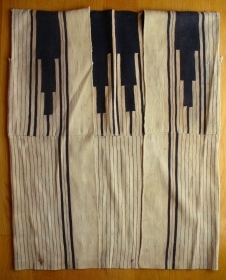 Goat hair top and side panel and chords with woolen tassles. 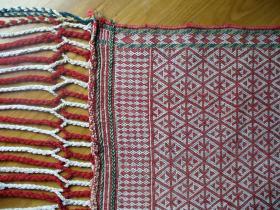 Reed screen. 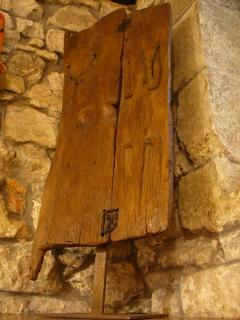 Original wooden poles. 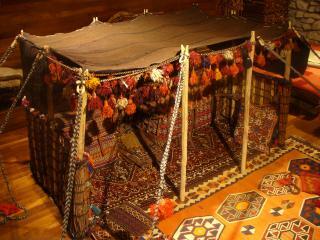 Ideal exhibitions etc.